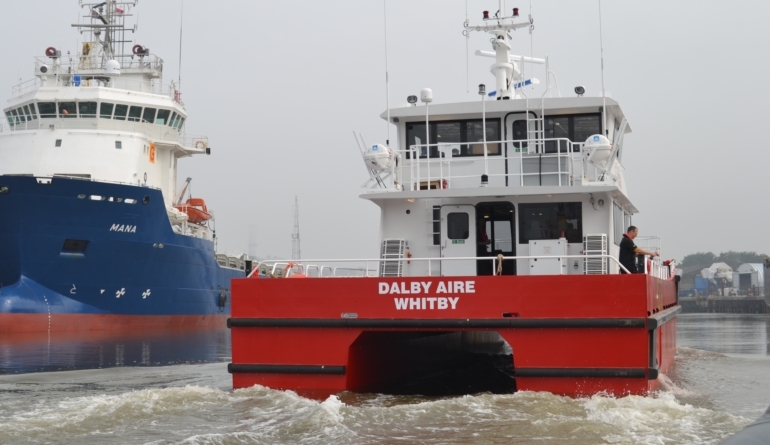 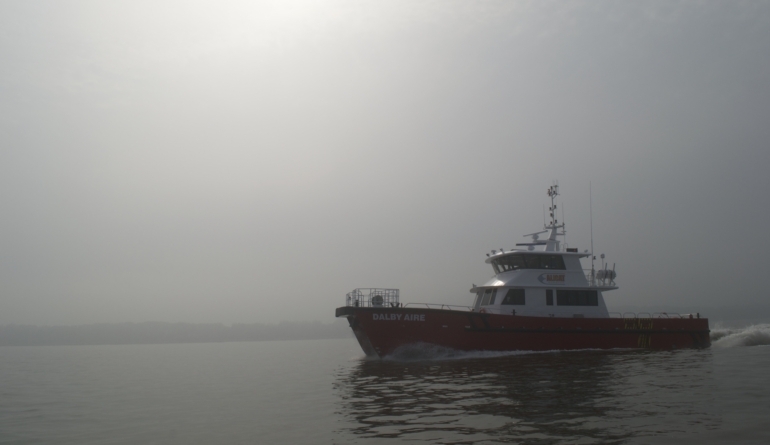 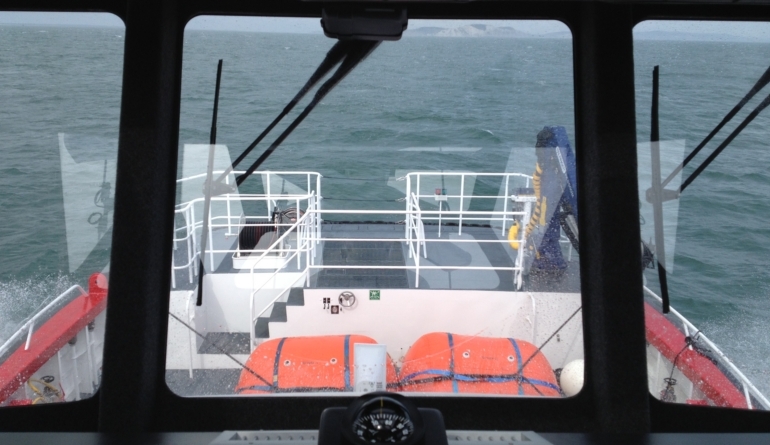 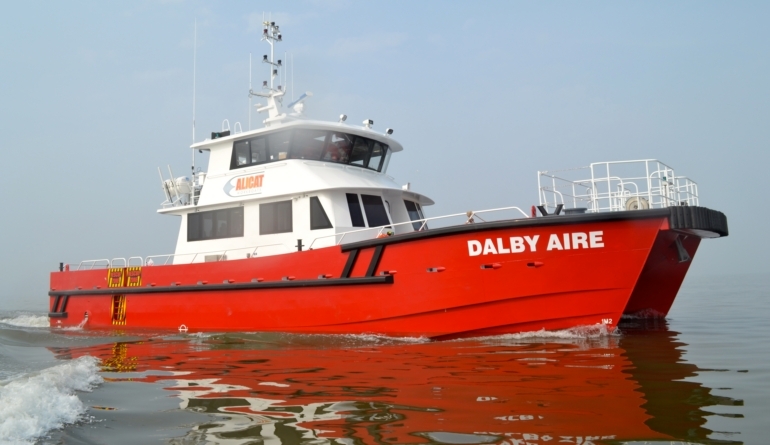 Following considerable consultation with the wind farm operators and industry in general, Global Marine Design produced the Marine Kit for the “Dalby Aire”, the first of our full DNV class vessels constructed by Alicat Workboats for Dalby Offshore. 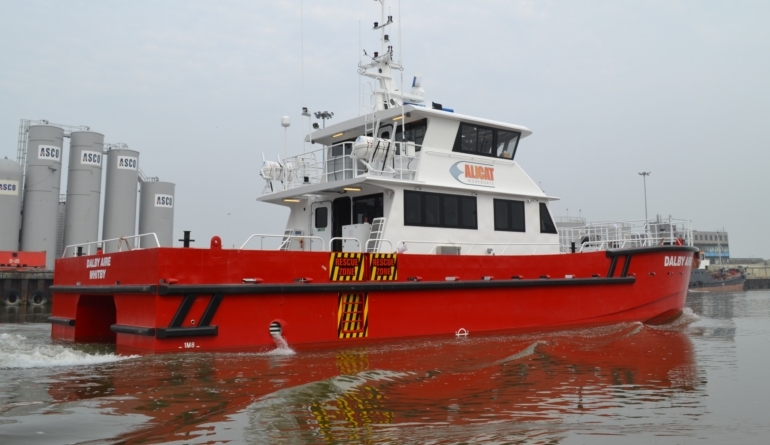 The hull builds upon the success of the well proven GMD WFSV fleet and measures 22.4m in length by 7.4m in beam. 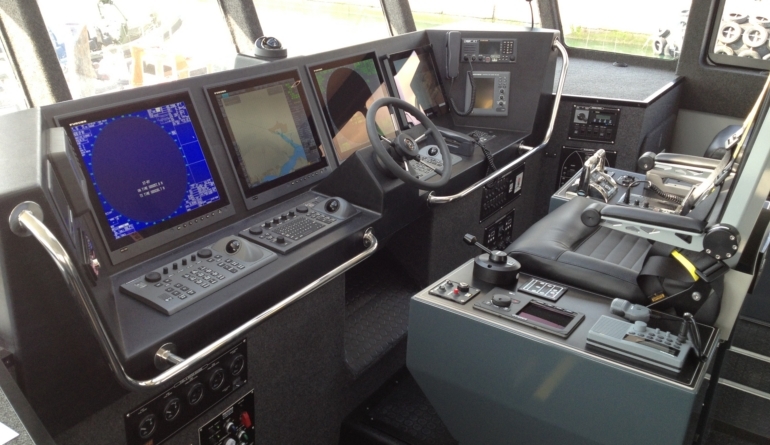 The generous dimensions give a total working deck area of approx. 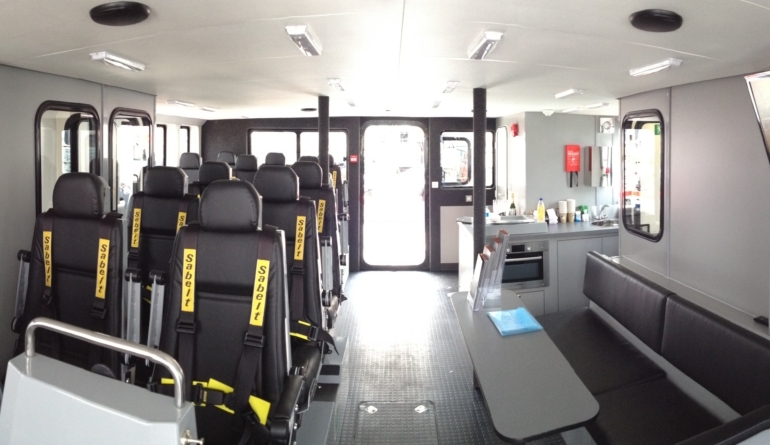 95m² for cargo and the 12 special personnel ride in comfort within the full isolated, resiliently mounted superstructure. 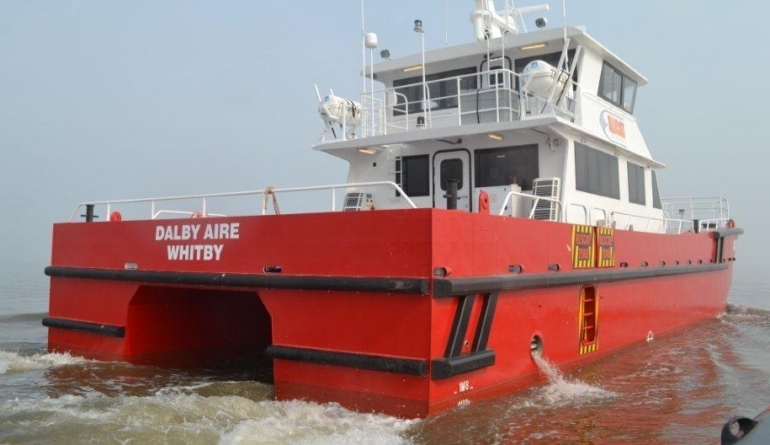 “Following the huge success we have had with our 17 metre and 20 metre forward wheelhouse vessels, we have decided to increase our range of vessels to facilitate more forward cargo capacity and have hence positioned the wheelhouse in this new 22 metre vessel on top of the engineers accommodation, with the entire superstructure being resiliently mounted for the smoothest and quietest ride available. 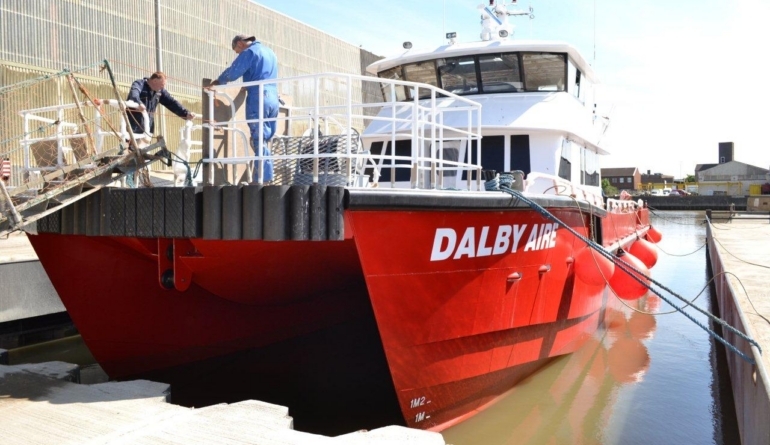 The same high quality interior and expertly designed hull and engine packages will remain. 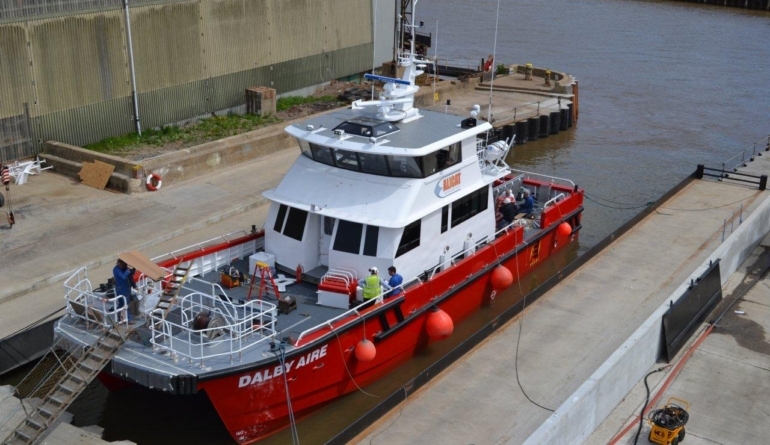 This vessel is being constructed to full DNV “Windfarm Service I” rules.